You are here: Home / All Posts / Intricacy and Insanity! The Art of Kyle Bean! 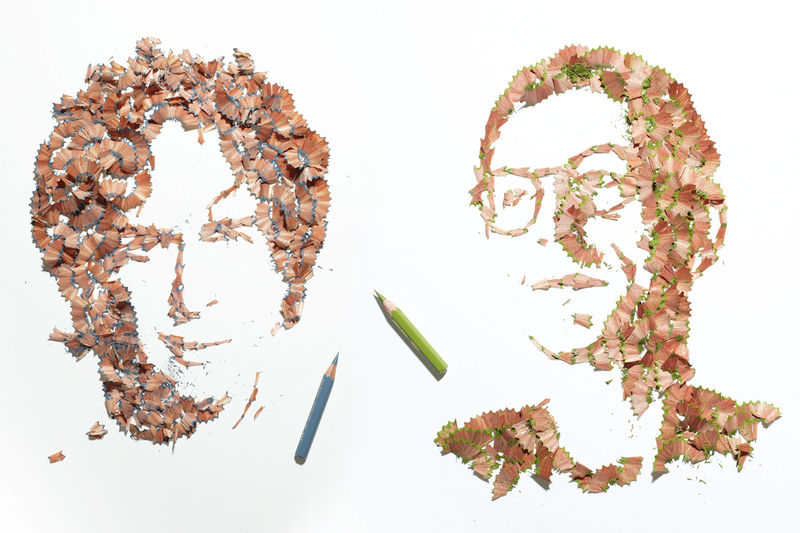 Pencil Shaving Portraits 1. Art by Kyle Bean made for Wallpaper magazine's "Handmade" 2011..
UK Artist Kyle Bean is an part engineer, part artist and part obsessive/compulsive personality disorder. Ok, I don’t actually know that. But damn, I have no other idea on how to rationalize this ability to be so regimented, so intricate and so precise. 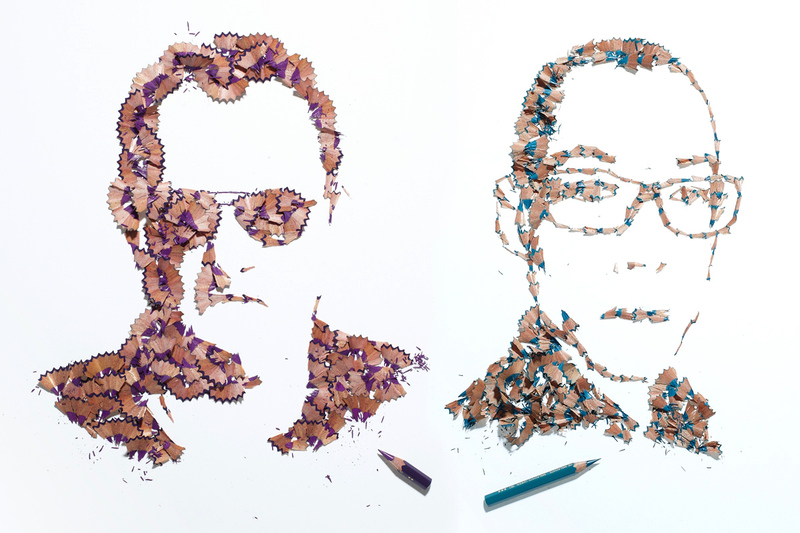 When I first saw his pencil shaving portraits I almost breezed right past them. But then I stopped and looked again, and found them entrancing. Then I went to his website and saw his other work. I was blown away. Pencil Shaving Portraits 2. 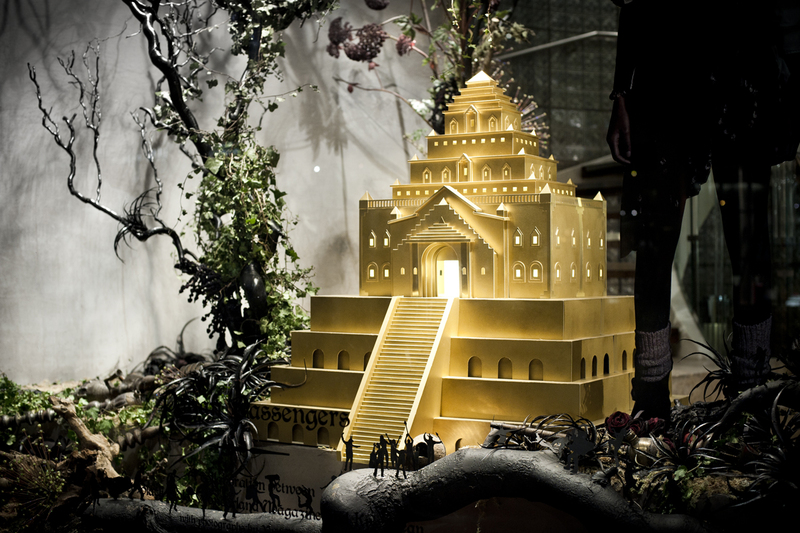 Art by Kyle Bean made for Wallpaper magazine's "Handmade" 2011..
Diesel Black Gold Display Window. Art and Image copyright Kyle Bean. That is the entirety of his “About Me” section on his website. That’s it. 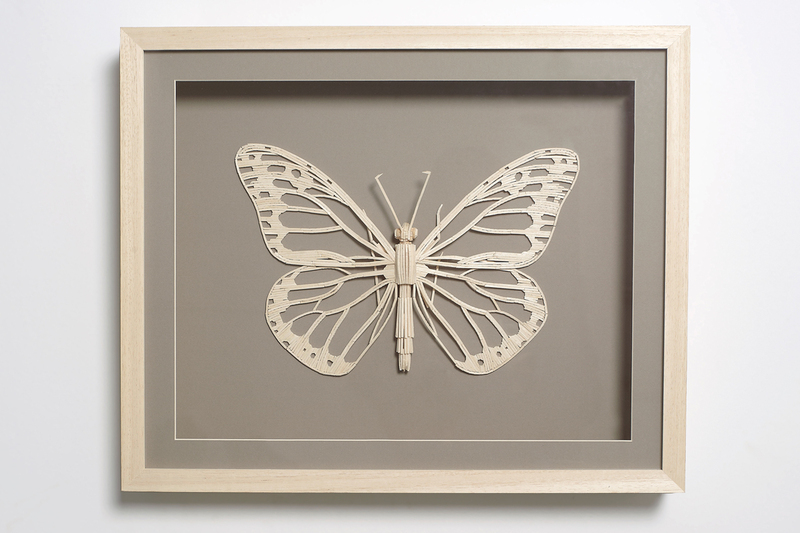 Butterfly made from matchsticks. Art by Kyle Bean, photo by Owen Silverwood. 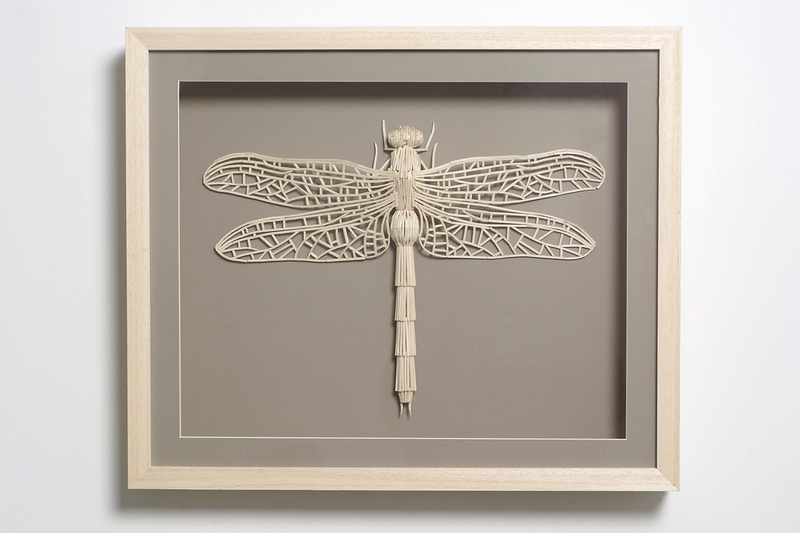 Dragonfly made from matchsticks. Art by Kyle Bean, photo by Owen Silverwood. I hope you are as entranced by his work as I was. To see more check out his website www.kylebean.co.uk. For creating intricate masterpieces, Give Us Art! salutes you Kyle Bean! "What Came First?" 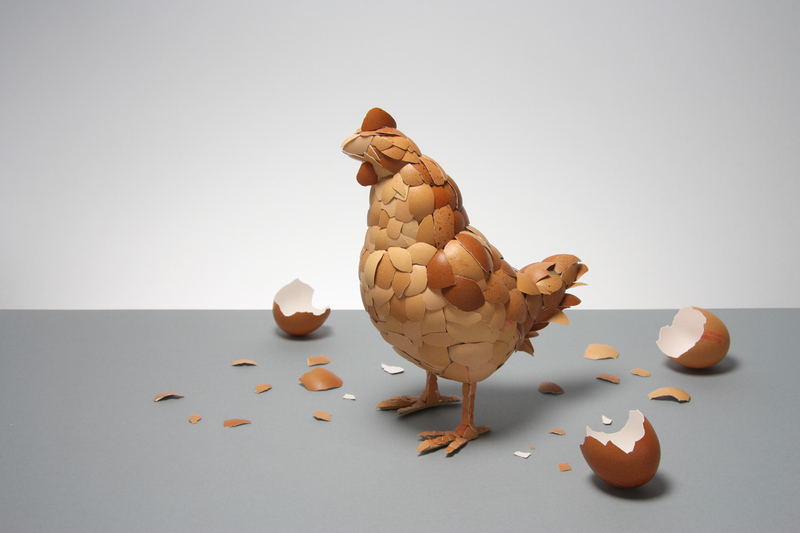 Chicken made from eggshells. Art and Image copyright Kyle Bean. 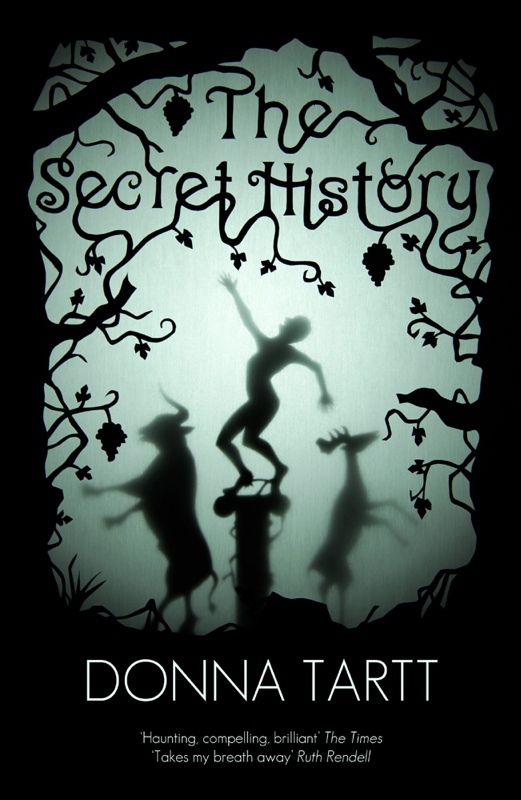 The Secret History bookcover. Art by Kyle Bean for novel by Donna Tartt. « A Celebration of Art, Music & History: The Jackson Street Music History Project!